The CEO of Opera, Jon von Tetzchner, has told TechRadar that the world is already reaping the benefits from the complaint it filed with the European Commission over Microsoft's dominance in the browser market. 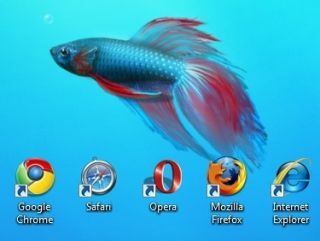 Opera's complaint, filed in 2007, suggested that Microsoft was using its dominance in the OS market to crush rivals to its Internet Explorer browser and also the hope of unifying web standards. In a major interview with TechRadar, von Tetzchner explained why he is pleased to see Microsoft considering an 'off switch' for Internet Explorer 8 in the forthcoming Windows 7, and explains why he still feels the battle is worth fighting. "Do you think Microsoft's market share in browsers is because they had the most popular operating system?" von Tetzchner asked. "Of course; so clearly there are some rules that should apply so that when you have the dominant position [in operating systems] you cannot include software to win in other markets as well." Von Tetzchner believes that the complaint - which has been backed by Firefox maker Mozilla and Google - has already prompted a change of attitude from Microsoft, although he concedes public interest in the case may be evaporating. "It's been going on for such a long time and people have got used to the idea that Microsoft is dominant," von Tetzchner added. "When it comes to market share both us and FireFox are making progress, but Microsoft still has by far the biggest market share and you have to take the [statistical] numbers quoted with a grain of salt. "If you think about, for example, businesses; most use Internet Explorer as their browser." IE8 tipping the balance again? Von Tetzchner is fearful that the arrival of IE8 - a step change for Microsoft from the leaden IE7 - will see the Redmond giant benefit from the market position that the EC is looking into. "Microsoft didn't work on its browser for six years and this gave others a chance, but with Microsoft now providing a browser of higher quality [IE8] then you'll see a reversal of fortunes and browsers are too important a piece of software to risk having a monopoly in. "Microsoft has been violating rules for more than 10 years and they shouldn't benefit from that, but they are doing." IE8: A step in the right direction? TechRadar asked the Opera CEO if he felt that IE8 was a step in the right direction in terms of embracing web standards, and he conceded that things were improving on that front. "IE8 is a move in the right direction in terms of embracing standards," he added. "It has been documented that, sadly, some of improvements are directly related to the EC case, so we are feeling some positives from bringing the complaint and hopefully we will continue to see this. "Microsoft has done something on standards and they are claiming that there is a problem with following those web standards. "I say welcome to our world. We spent a lot of time trying to be compatible with old versions of Internet Explorer, so it's kind of funny having Microsoft struggling to be compatible with itself." More from this interview will be available on Techradar throughout this week.